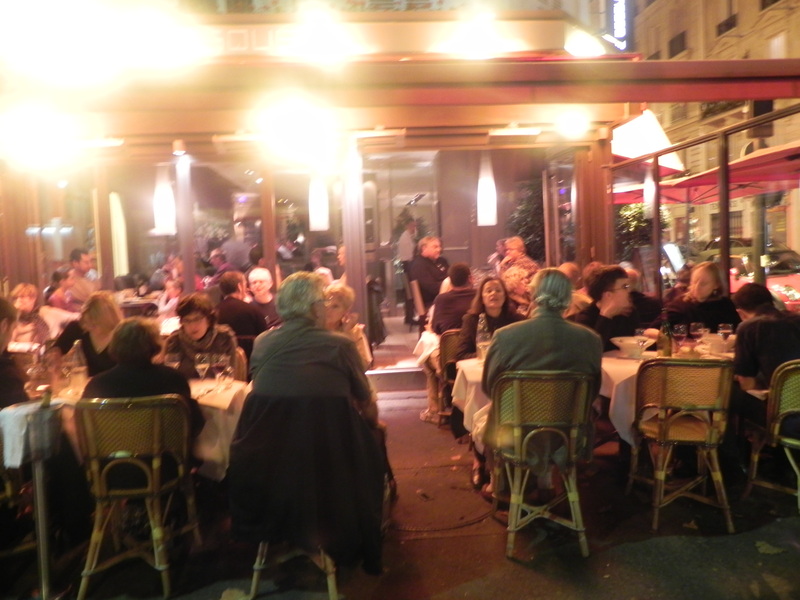 The Experienced Travellers are home again, but the magic of Paris lingers. The sights, sounds and flavours are still foremost in our minds. And I re-lived many of them when I checked my American Express statement yesterday. I don’t regret a single euro. So by popular demand, I’ll continue to write juliesparis. Perhaps 1-2 posts per week, depending on how much reality interferes with my inner world of life in the city of lights. Lord knows, I have the photo archive and Paris info spreadsheets to keep it going! I want to thank all of you for your readership, comments and support. This blog was a fun experiment and it will live on. Let’s live “la vie Parisienne” for a few minutes each week. Now, that’s “found money”! This entry was posted on October 15, 2010 at 7:29 am and is filed under Paris Life. You can follow any responses to this entry through the RSS 2.0 feed. You can leave a response, or trackback from your own site. Thanks Julie. 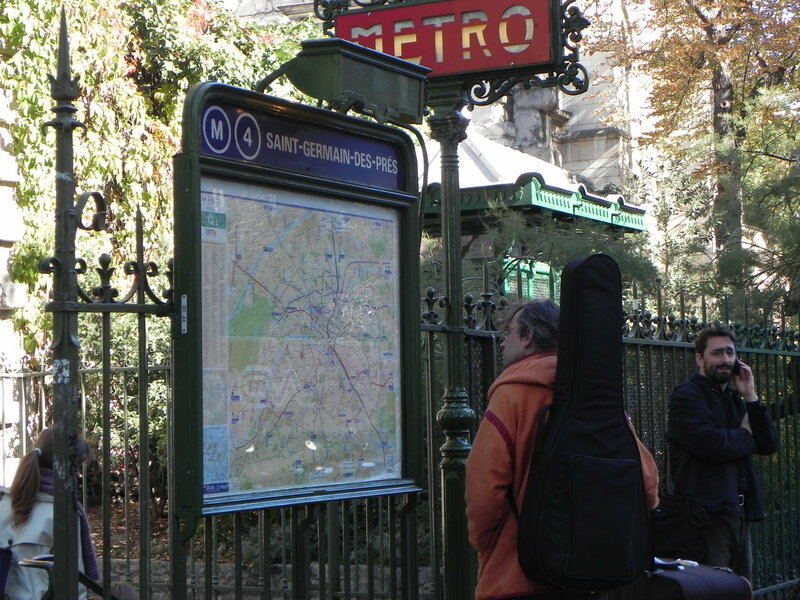 I have been able to visit Paris through the ETs and it has been a wonderful journey. So happy you will keep it going. And please include more photos of the elegantly prepared food. That way I can pretend I am eating a delicacy when I really eating a turkey sandwich at my desk. I have been using strawberry cream cheese instead of mayo and I thought that was a real gourmet move. Now I can see I need to find a sauce to drizzle over it and put on a square plate. It is going to take a lot more work but I know it will be worth it! Thanks for the inspiration to enjoy food and enjoy life! 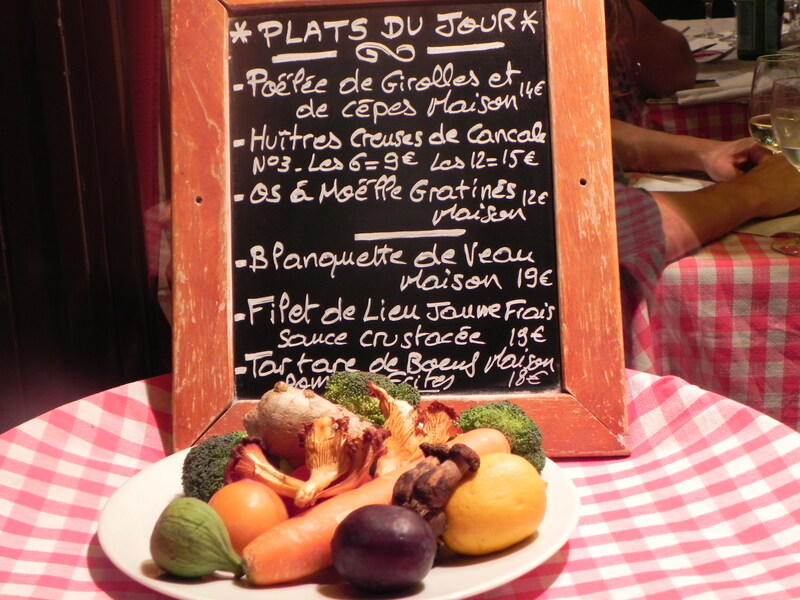 Only the French could make a plate of raw vegetables look like a chic decorator’s touch. At my place, it would be assumed that one of us was just too exhausted after a trip to Wegmans to actually put the food away. Glad you are back safe and sound. And that the ETs will continue to inspire us to save a few euros of our own to get back there ourselves. This friend of “Nurse” has enjoyed every word, every picture, of your blog. It’s the closest I’ll get to experiencing Paris without a tour bus. I’ve found myself coming back to re-read some posts, just for inspiration. I wonder, should I buy black fishnet tights, too??? “Pray” seemed a bit weak-kneed; and as for “Love,” puh-leeze!) But one begins now to salivate over the pictures and particulars of Julie’s Tuscany! And many thanks for Glories Past. See, you have followers you never even met! Bravo Julie! J’adore lire cette! Julie, I loved reading about your trip to Paris. Keep on blogging! Thanks for visiting JuliesParis. There is more to come!